Heat transfer equipment must be properly maintained to provide maximum efficiency. 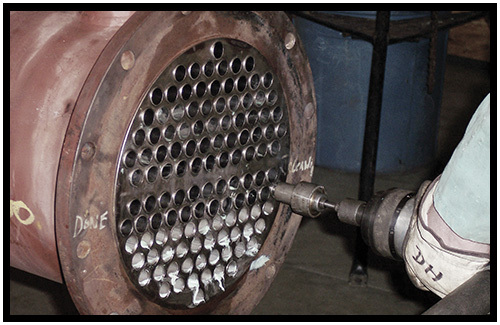 The smallest amount of scaling or blockage can greatly reduce a heat exchangers performance. 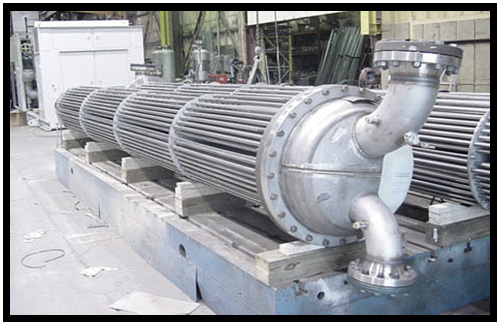 NBW has years of experience with all styles of heat exchangers and all types of materials. Whether you have an emergency outage or scheduled shutdown, NBW has the personnel and equipment that is required to service your condensers, heat exchangers, evaporators, and chillers. We will promptly get your unit repaired and back on line. An expansive work area with 10-ton overhead crane allows us to perform repairs on virtually any unit that can be transported over the road. Regardless of design conditions, our experienced craftsmen will professionally attend to your heat exchanger. NBW can handle carbon steel, stainless steel, nickel, copper, brass, or any other alloy. NBW uses timely and cost efficient methods to provide our customers with quality workmanship. Call our office today and see how we can help you with all your heat transfer equipment requirements.